en - Dianne Weller (Australia 1969) is a performing artist based in Belgium. Dianne has a Bachelor of Arts in Performance from the University of Western Sydney, Sydney, Australia and recently finished a 1 year Post-Masters at apass (Advanced Performers And Scenography Studies: a.pt (Advanced Performers Training). In her work she uses the Voice and Sound as tools for research, performativity, listening, perception, & emotional connectivity. Since being in Belgium in 2006 she has worked as a performer and collaborator with Random Scream with Davis Freeman, Nature Theatre of Oklahoma, Sarma's Voice Lab 2, Maria Clara Villa Lobos, the Ictus Ensemble, Michelle Yang, Gossie Vervloessem and founded and directs the a capella performance group the PushUps. Dianne also cofounded the Sproutland SoundLab in 2010, a virtual and physical meeting & exchange ‘plant’ for the developmentof research covering questions relating to Sound Art in multidisciplinary formats. All her works focus on music, theatre and sound. Dianne's own projects includes ‘the PushUps’, 'the Passage…’, ‘For Your Ears Only’, ‘Scoring the Listening’, ‘the Voyagers’ and ‘Over the Top’ which she developed with Ad Libitum co. (with Ale Petrasso). Dianne just finished a short film for Caviar Productions, Death by Originality and is also a Voice Over Artist. Dianne is also a private vocal coach for Performance Companies, Performers and Business. nl - Dianne Weller (Australië 1969) is een uitvoerend kunstenaar. In haar werk gebruikt ze de stem en geluid als werktuigen voor onderzoek, het maken van performances, om te luisteren, onderzoek van perceptie, emoties en samenvoeging. Ze is sinds 2006 in België en ze werkte o.a. samen met Random Scream van Davis Freeman, het Nature Theatre of Oklahoma, Sarma’s Voice Lab, Maria Clara Villa Lobos, het Ictus-ensemble, en ze stichtte en leidt het a capella kwintet de PushUps. 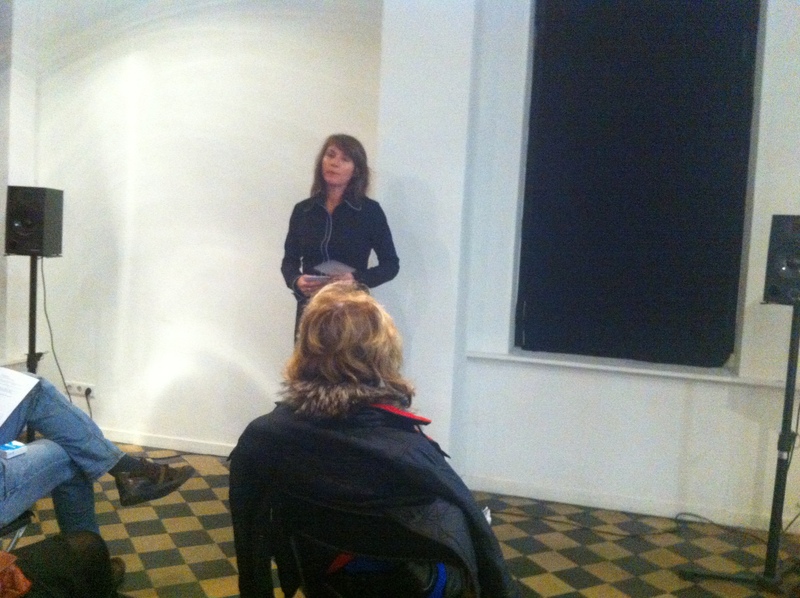 Ze stichtte ook de Sproutland Soundlab in 2010, een virtuele en fysieke ontmoetingsplaats voor de ontwikkeling van vragen rond geluid in de kunst in multidisciplinaire werkvormen. Ze beëindigde net een kortfilm voor Caviar Production, Death by Originality and ze werk ook als voice over. Haar eigen projecten zijn The Passage, For Your Ears Only, Scoring the Listening, Ad Libitum (with Ale Petrasso) en Over the Top, welke allen focussen op muziektheater en geluid. Dianne geeft ook privéles aan performers, zangers. Ze beëindigde recent haar post- master in apass. fr - Dianne Weller (Australie, 1969) est une artiste performeuse basée en Belgique. Elle utilise la voix et le son comme outils de recherche, de traduction en performance, d'écoute, de perception, de transfert d'émotions et de moyen de rassemblement des êtres. Depuis son arrivée en Belgique en 2006, elle a travaillé comme performeuse et collaboratrice avec Random Scream (Davis Freeman), Nature Theatre of Oklahoma, Sarma's Voice Lab 2, Maria Clara Villa Lobos, Ictus ensemble, et a fondé/dirigé le groupe de performance acapella "The PushUps".Dianne a également mis au point Sproutland SoundLab en 2010, qui est un point de rencontre physique et virtuel pour le développement des idées autour du son dans l'art multidisciplinaire.Dianne vient de finaliser un court-métrage pour le compte de Caviar Production (Death par Originality) et est une Voice Over Artists basée en Belgique. 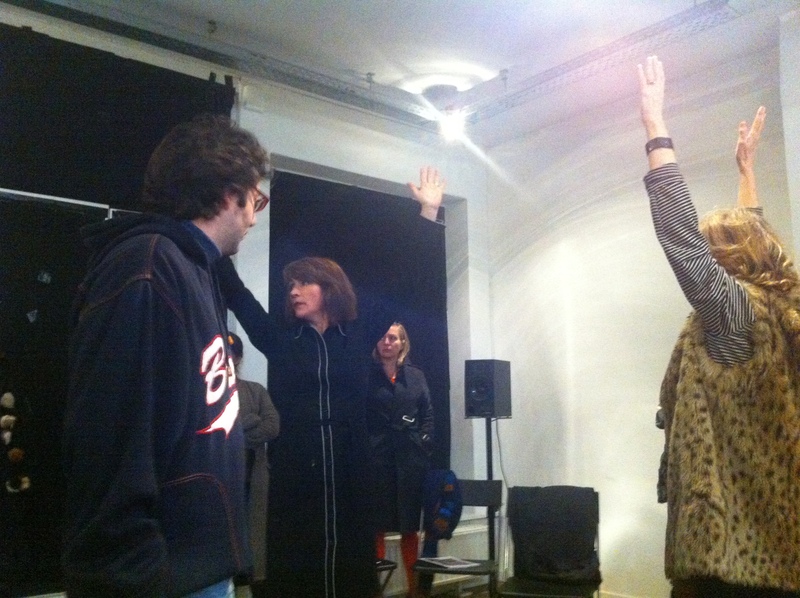 Ses projects personnels sont notamment : "the Passage…","For Your Ears Only", "Scoring the Listening", et avec Ad Libitum (et Ale Petrasso) "Over the Top" qui met le focus sur le theâtre musicale et le son.Dianne est également coach vocal à titre privatif, pour le theatre, les performers ou business.Elle vient récemment de terminer sa 1ère année de post-master à a.pass (advanced performance and scenography studies in Brussels). In June 2010 I presented the Voice Performance Installation piece 'the Passage...' based on the film Recits d'Ellis Isle by George Perec, as a final demonstration of the research from my 1 year research at apass (Advanced Performance And Scenography Studies in Brussels). During this period I was focusing on Vocal Dexterity, Diversity, Writing and Composition for Voice. This presentation was a representation of the film using Voice material to capture and convey the message of its sentiment. It was made for a single audience member only and was set into a parcours performance structure. The thematic of this piece focused on the question of displacement and self-imposed migration in today’s society. Within this idea, the performance was represented into 4 different, yet connecting spaces by performers, Davis Freeman, Myriam Van Imschoot, Tracee Westmoreland and myself. Each space focused on different aspects of the vocal tools we use. Employing the palate of colours and range that the voice can demonstrate as a means of communication and performativity. 3 years later...I would like to re-visit this material with this 'RE-Invention' of 'the Passage....a Lecture Performance', and develop some systems to re-construct and translate this material from this very particular structure, into the Lecture Performance frame. I will concentration on these aspects: looking at how that influences and redefines the work itself? How or does it change the initial intention of the performance? What does a Lecture Performance offer to the audience? Why Lecture? Why Not? Is Lecture a Fad or a reality? If so why, or why not? With these questions in mind, I would like to examine the arts scene today and see if it has an impact on the Lecture format in some way, from both a financial and an Artistic angle. Does this affect the Independent Artists and how they develop their work? And finally, what parameters does this afford the artist, if any? thanks to the apass, ZSenne, Pianofabriek Kunstenwerkplaats, Les Bains: Connective, Mokum, Myriam Van Imschoot, Julie Pfliederer, Alex Davidson and Mathieu Dupont, Ale Petrasso, Els Viaene, Hans Sonneveld and Jitske Vandenbussche. In juni 2010 toonde Dianne, na een jaar onderzoek, The Passage ..., een stem-performance-installatie gebaseerd op de film Récits d'Ellis van George Perec. Gedurende de periode van onderzoek bij a.pass focuste ze zich op vocale soepelheid, veelzijdigheid en compositie voor de stem. Thema's voor de installatie waren ontheemding en de keuze om te immigreren. The Passage... werd vertoond voor één enkel persoon uit het publiek en was opgezet binnen een parcours-performance structuur met vier performers, in vier met elkaar verbonden ruimtes: Davis Freeman, Myriam Van Imschoot, Tracee Westmoreland en Dianne Weller. In elke ruimte kwam een ander aspect van vocaliteit aan bod, gebruikmakende van het volledige kleurenpallet die een stem rijk is.Tijdens haar residentie in ZSenne art lab wil ze dit materiaal opnieuw bekijken en The Passage…. herwerken, heruitvinden. Aan de hand van het bestaande materiaal gaat ze op zoek naar manieren om het te vertalen, vertrekkende vanuit de heel aparte structuur, naar de vorm van de Lectuur Performance. Dianne wil onderzoeken hoe dit werk zichzelf kan herdefiniëren. En zal dit de initiële opzet van de installatie-performance veranderen? Wat heeft een lectuur performance te bieden aan het publiek? Is lectuur een gril of realiteit? En waarom? Met deze vragen in het achterhoofd wil ze bekijken of het lectuur format een impact heeft op de bestaande kunstscène, op de onafhankelijke kunstenaars, vanuit financieel en artistiek oogpunt. Of ze ermee werk ontwikkelen? En tot slot, welke beperkingen en parameters het biedt aan kunstenaar, als die al er zijn. Dank aan: a.pass, ZSenne art lab, Pianofabriek kunstencentrum, Les Bains:Connective, Mokum, Myriam Van Imschoot, Julie Pfliederer, Alex Davidson and Mathieu Dupont, Ale Petrasso, Els Viaene, Hans Sonneveld and Jitske Vandenbussche. En juin 2010, Dianne présentait l'installation "the Passage…", une performance vocale basée sur le film "Recits d'Ellis Isle" de George Perec. Durant cette période, Dianne s'est concentrée sur la dextérité vocale, la diversité, l'écriture et la composition vocale. Cette présentation était conçue pour un spectateur unique et s'inscrivait dans un parcours de performances avec 4 performeurs : Davis Freeman, Myriam Van Imschoot, Tracee Westmoreland et Dianne Weller. 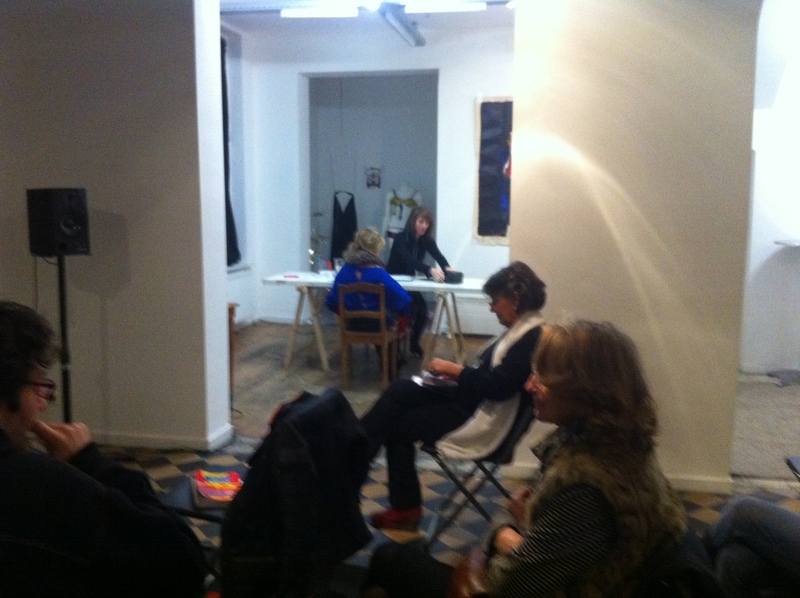 3 ans plus tard, pendant sa résidence à ZSenne art lab, Dianne souhaite revisiter ce matériel artistique avec cette "RE-Invention" de "the Passage… a Lecture Performance". Dianne aimerait développer une méthode pour reconstruire et traduire ce contenu de sa structure particulière en une séquence "Lecture Performance".Comment cela influence et redéfinit le travail lui-même? Gardant cette question à l'esprit, elle veut examiner les arts de la scène d'aujourd'hui et voir si cela impacte sur les artistes, comment ceux-ci développent leurs productions? Du point de vue financier et de l'angle artistique. Finalement, quelles restrictions ou paramètres cela offre-t-il à l'artiste, s'il y en a.
Merci à: a.pass, ZSenne art lab, Pianofabriek kunstencentrum, Les Bains:Connective, Mokum, Myriam Van Imschoot, Julie Pfliederer, Alex Davidson and Mathieu Dupont, Ale Petrasso, Els Viaene, Hans Sonneveld and Jitske Vandenbussche.